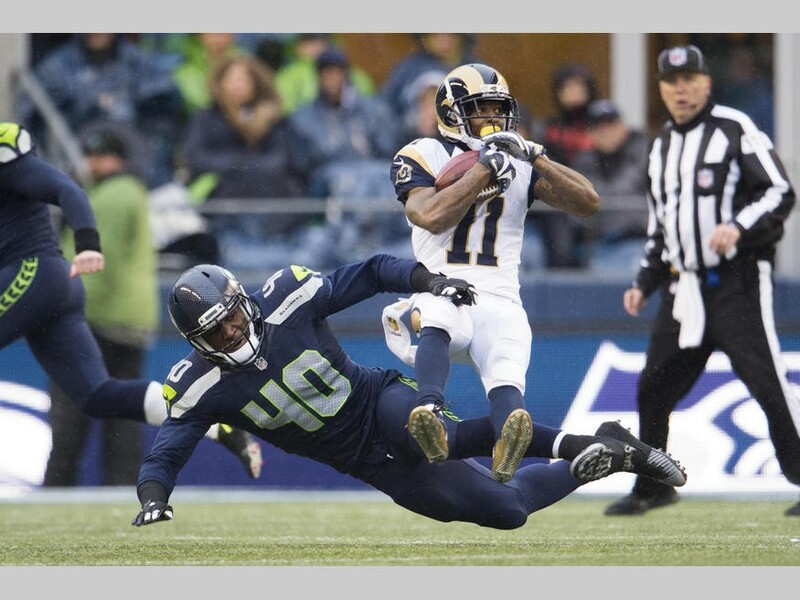 Well, it could have been a nice little bit of revenge for the Seahawks if they would have taken care of business at home against the Los Angeles St. Louis City To Be Determined for 2016 Rams. But instead, the Seahawks lost 23-17 in a game that was eerily reminiscent of some of the early season clunkers the team delivered. Russell Wilson had a couple turnovers and was hit too often by the Rams defenders. The running game was virtually nonexistent. The defense gave up more points than we're accustomed to seeing when the team's playing at home. Know what, though? None of it really matters. Sure, there's some questions still about whether the Seahawks end up at the No. 5 or No. 6 seed. And they're going to play Washington, Minnesota or Green Bay. Any of those teams really scare you? They shouldn't. The D.C. Native Americans are the awful winners of the worst division in the NFC. Minnesota has already felt the Seahawks' wrath once this year, at home, and there's little reason to think it would be different with a second game. And the Packers suddenly look ripe for a whooping by a team with a good defense. A team like, say, the Seahawks, who also have been shredding on offense lately, Sunday's game excepted. Did you see how the Packers looked Sunday against the Cardinals? Remember earlier this season, when the Cougars lost to Portland State and all of us thought coach Mike Leach might not make it through the season without getting canned? Washington State braved the elements in El Paso, a half-empty stadium and the once-mighty, now-not Miami Hurricanes for a win in the Sun Bowl, 20-14. The Cougs didn't look awesome, but the team's defense gets a lot of credit for locking down the 'Canes when it became clear the offense was going to be struggling, something it hasn't done much this year. Luke Falk was MVP, but this was one of his worst games (of course, he still threw for nearly 300 yards and two TDs). 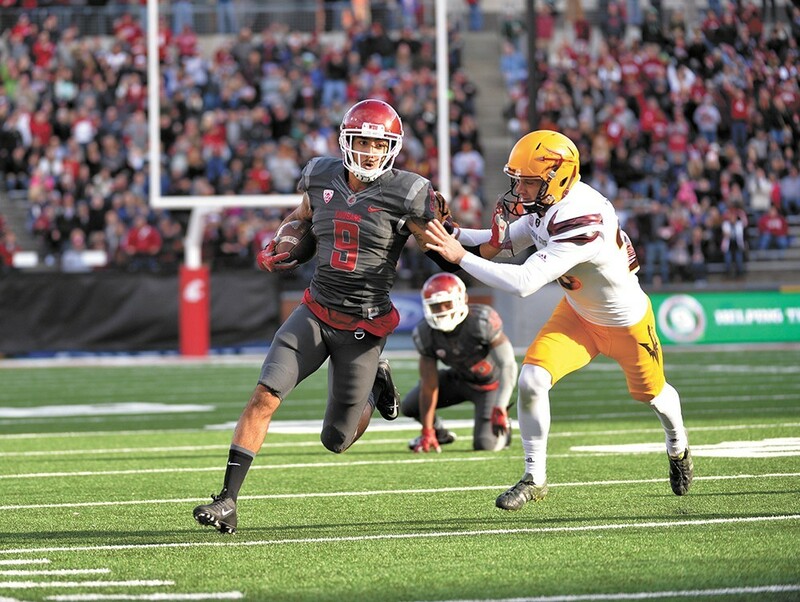 With the win, the Cougs end up with a nice 9-4 season, and can look forward to a 2016 season that will include wide receiver Gabe Marks. Gabe Marks will return for the 2016 season. Maybe all the concern about the Zags scuffling before starting conference play got the team's attention. Or maybe the West Coast Conference teams are just what the doctor ordered for a talented team to get right. Whatever the reason, Gonzaga crushed Pepperdine and Loyola Marymount last week, and this week doesn't play until Thursday at 2 pm at Santa Clara. A nice way to ease into your New Year's Eve festivities.